Well here we are oh Beloved Transformation Nation! I thought today that rather than flap my gums and giving you “take away value”. I’d simply sing to you a song about gratitude. I originally wrote this as a love song directly to the Unity Church of Albany NY community. Unity is a “New Thought” church in alignment with teachings from the East as well as the West. One of the basic principles that I find so attractive is the idea that we can actually change our lives by changing how we think. It’s just a great fit for me. Even though I was raised in the Presbyterian church, majored in Religion at Manhattanville college, and even attended Princeton Theological Seminary for a year, for many, many years I wouldn’t go near a church. A lot of my songs though are “spiritual” but definitely not “religious”. 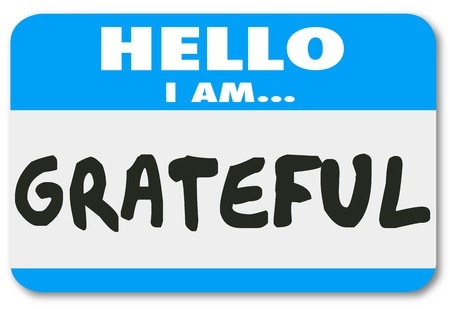 In m practice as a hypnotherapist, and NLP Coach I encourage (and sometimes insist) my clients focus on what they are grateful for in their lives. Not because it’s “nice” or “positive” but because it shifts their focus away from stress hormones like adrenaline and cortisol to “feel good hormones” like endorphins. Give it a try! © 2012 by Mark Shepard.